…beautiful and without a 1 to 1 translation in English. 9. Guanxi (Mandarin): in traditional Chinese society, you would build up good guanxi by giving gifts to people, taking them to dinner, or doing them a favour, but you can also use up your guanxi by asking for a favour to be repaid. The Samoan word for cowardice is peamoku – or unfinished tattoo. 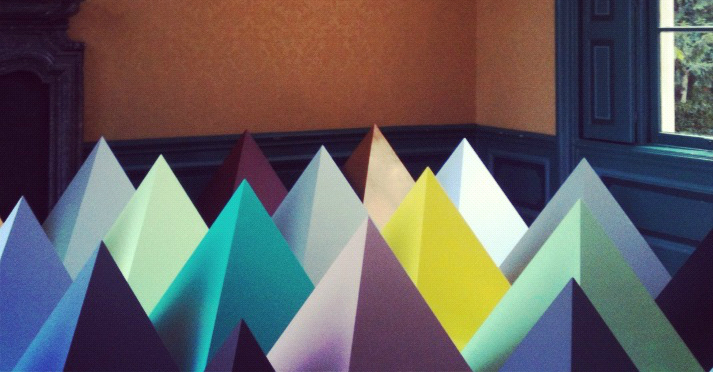 I’m enjoying an afternoon of complete laziness and taking the chance to catch up on my favorite blogs. Bless Google Reader for not counting the number of unread posts after 1000 (just indicating ‘1000+’). 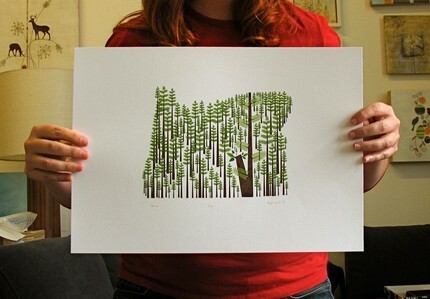 I have seen a million things that I want to reblog, but this print from Amy Ruppel topped the chart. 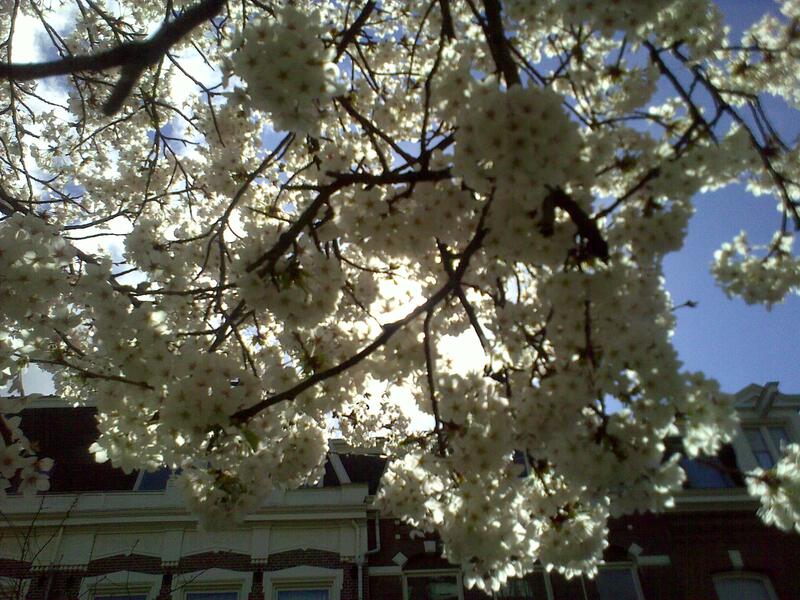 I have a small craving for the Oregon springtime, although I’m not likely to fly in again until late autumn. I will content myself here in Amsterdam with some trips to Berlin, escapades around Holland and a trip to South Africa in June. Sprinkled with several visits from my siblings, that should be sufficient (via unruly things). Most Chinese were intensely curious about foreign life, and they liked to ask certain questions … People tended to have extreme views of the US, both positive and negative, and they became fixated on fantastic details that they had heard … In China, I came to think of the United States as essentially imaginary: it was always being created in people’s minds, and in that sense it was more personal for them than it was for me. The questions reflected Chinese interests, dreams, and fears—even when people discussed America, the conversation was partly about their home. … A Chinese person with options would never choose to live in a place like southwestern Colorado. The American appetite for loneliness impressed me, and there was something about this solitude that freed conversation. I learned there’s no reliable small talk in America; at any moment a conversation can become personal … Many Americans were great talkers but they didn’t like to listen … Leslie and I learned that the most effective way to kill our end of a conversation was to say that we were writers who had lived in China for more than a decade. 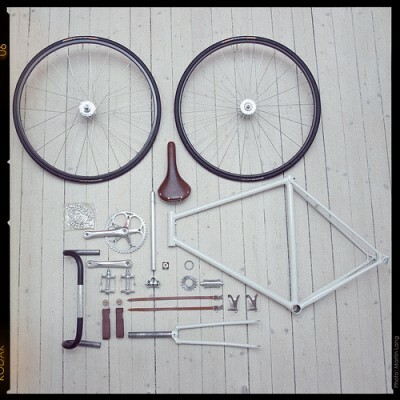 An image of collected bike parts by Sweden based cinematographer Martin Lang (via another something). 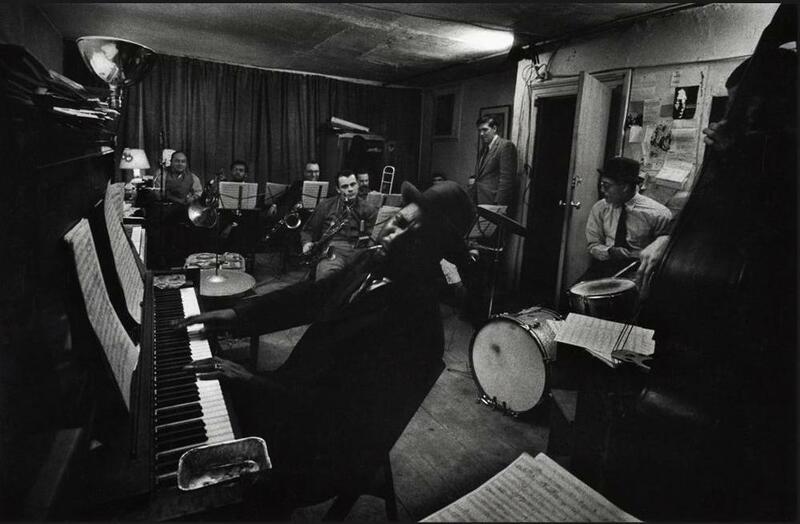 The Jazz Loft Project is an archive project profiled in a multimedia production from The New York Times. The production features photography and audio content from the archive of W. Eugene Smith, captured from the unique perspective of his loft building (via Micha). 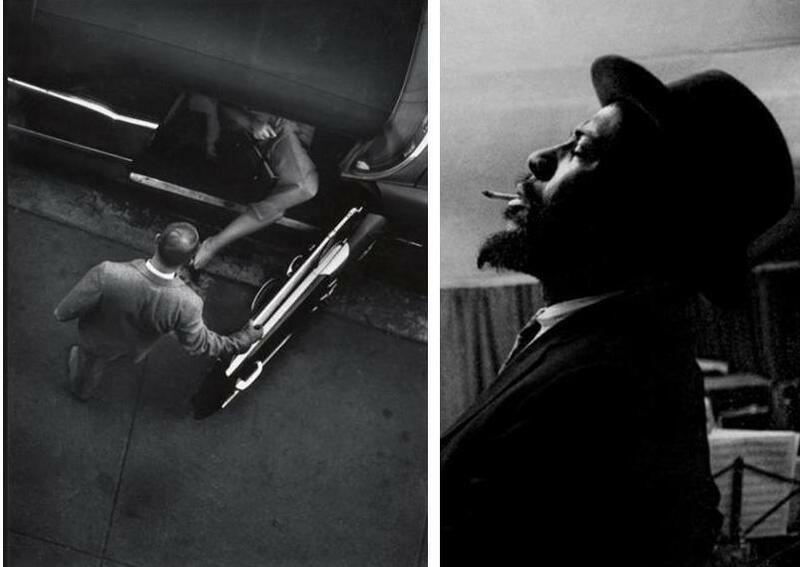 From 1957 to 1965, the photographer W. Eugene Smith exposed 1,447 rolls of film to record the goings-on inside his loft building, as well as scenes from street life visible from his windows. He also made 4,000 hours of audio recordings that captured random conversations, phone calls, radio programs and, above all, many legendary musicians of the day, who came to the building to hang out, rehearse and jam. All the blogs seem to be posting pictures of spring bursting in. So, here I am, leaping on the bandwagon. 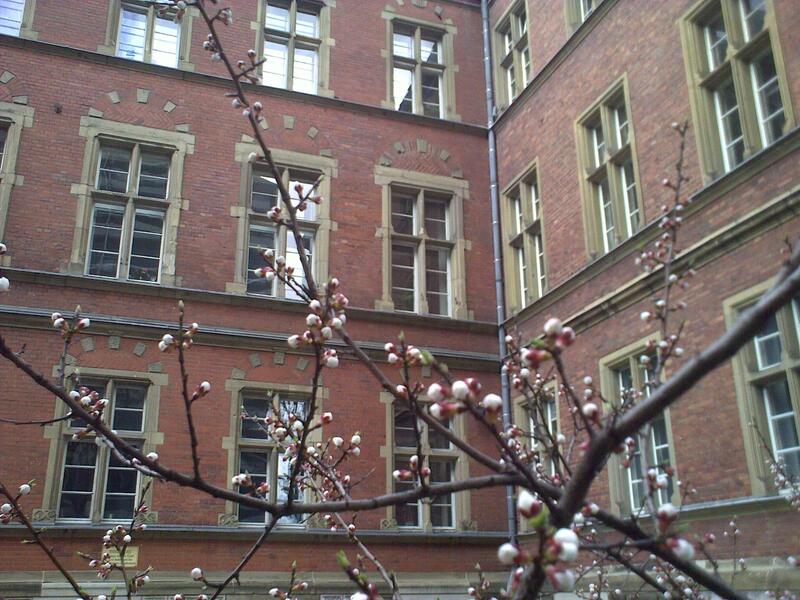 The above image is of the just-emerging flower buds in Cologne, taken during a weekend trip with my lovely sister. The image below taken during a Saturday afternoon walk through Amsterdam with Herr Pfeiffer. We walked one hour to get fresh bread. Yeah. 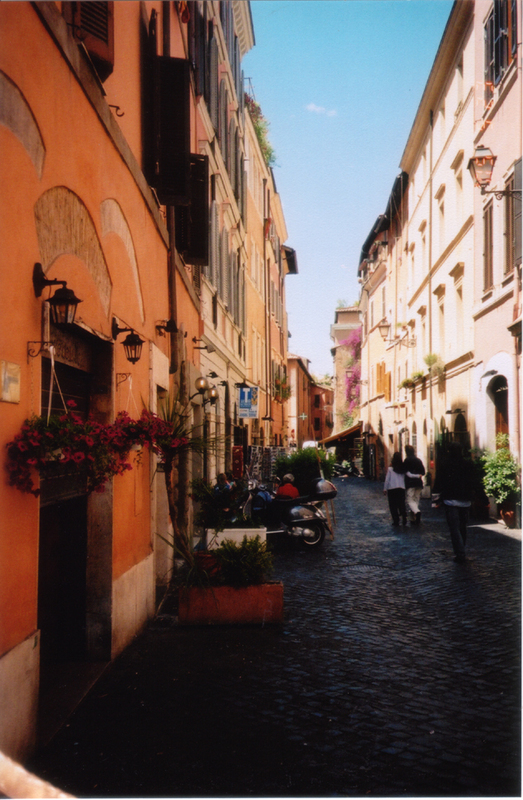 …walking through the streets of Trastevere. Yes, I could handle that today. Trastevere, the neighborhood in Rome where I lived and studied during the summer of 2004, which prompted a love affair with the unfamiliar and the ancient.